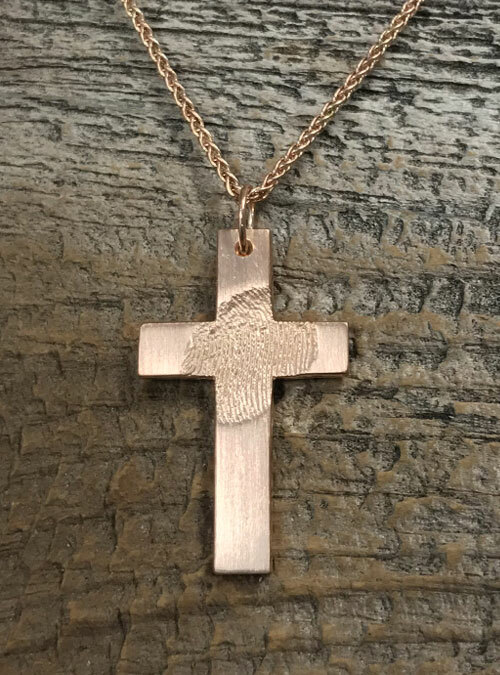 Forever capture your loved one’s touch in a cross pendant necklace. Keep loved ones close always. Size of fingerprint on the cross is relative to finger size. 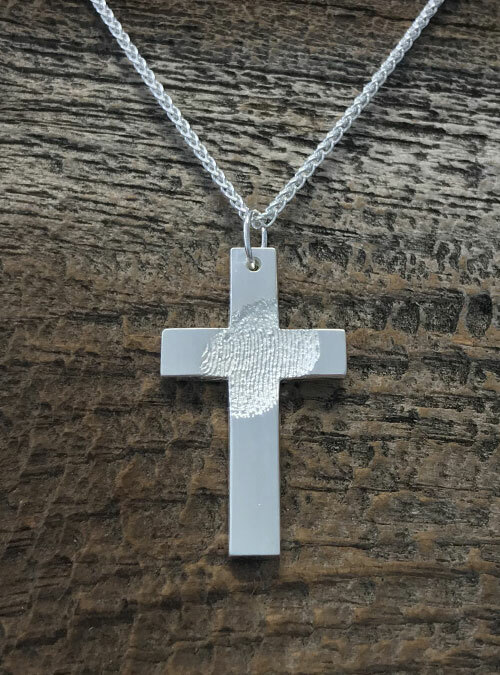 Forever capture your loved one’s touch in this cross pendant necklace. Keep loved ones close always. 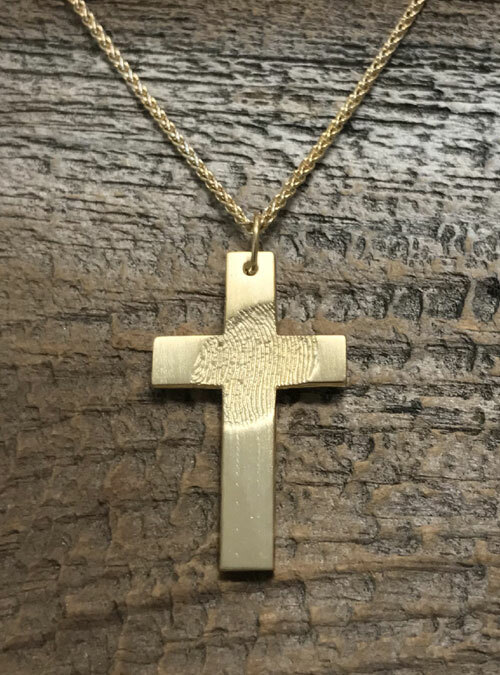 The cross is approximately 30 mm long and 18 mm wide. Upload an image of ink fingerprints using ‘Upload a File’. It needs to be high res (600dpi) Yes, we can use digitally scanned fingerprints. Use materials you have on hand to create a series of ink fingerprints. Take a picture of the page of prints, or scan the page at high resolution (600dpi) and email it to us. Cross measures approximately 30 mm in length and 18 mm in width.